It’s May 1977, and already a renowned songwriter, Eric Clapton brings his band over from America to play in Victoria in London. The curtain rises and the show starts with a row of musicians getting into the groove. Eventually, one of them steps forward to a mike and begins to growl. So THIS was JJ! The set flows along real foot-tapping stuff. A slight bearded figure moved in the background and plugs in a Strat. I lean over to my partner of the time and whisper. She loudly and scornfully exclaims ‘THAT’s never Eric Clapton ! !’ People seated around us snigger. It was Eric and I enjoyed her week-long silent sulk at being proved wrong after – eventually – JJ introduces him. 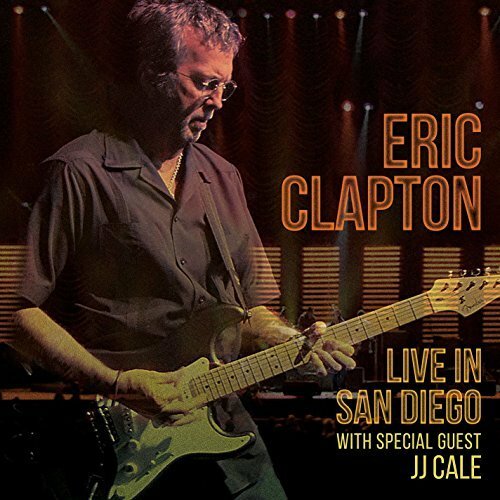 Cut to San Diego in March 2007 and EC and band take the stage to perform a show. I say ‘band’ but this ensemble includes Derek Trucks, Doyle Bramhall 11, and Willie Weeks on bass, piano genius Chris Stainton and drummer Steve Jordan. It’s an aggregation and a half. The show commences Tell The Truth and a flourish of acoustic guitar, then Trucks’ greasy sneering slide and an impassioned vocal. The plodding Key To The Highway follows, I hate this number and more so as every act seems to do it! Some fluid guitar from Eric here and sparkling piano. Things step up with Got To Get Better In A Little While over belting drums and great choppy axe from Doyle who as we all know is ace at funk styles. Little Wing is respectful of Jimi, and Jordan does a great version of the Noel Redding dynamic. What this cut does is emphasise the good recording quality of the show as presented here. Any Day is a bit of a playtime for the guitars and Trucks in particular as the Clapton/Whitlock song is played out. Sounds very Tedeschi-Trucks. Then for the next five selections, the crew are joined by the man himself – JJ Cale. Anyway The Wind Blows chugs into earshot, taken a tad fast and with the instruments layering up over the intro. Cale sounds fine and the band keep it clipped to let him sing out; the familiar. After Midnight has a cool piano start and a roaring reception from the audience. 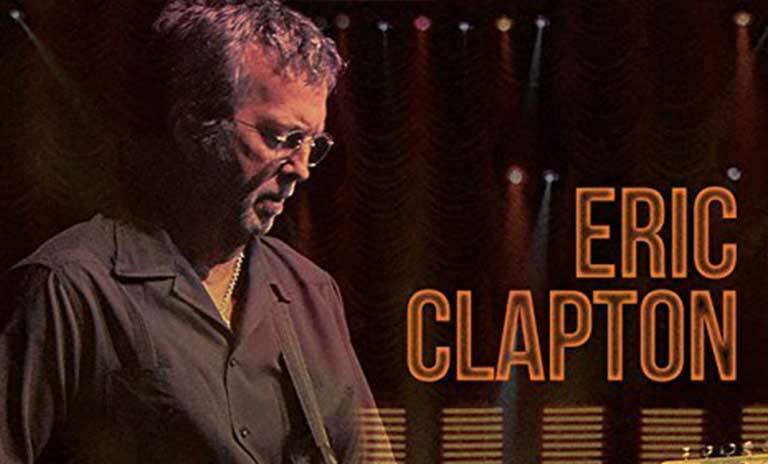 Trucks and Clapton chip in restrained solos. Who Am I Telling You is a lesser-known song with a terrific vocal from JJ and has an Arthur Alexander tinge underlined by the gentle Hammond of Tim Carmon. Trucks cries through his strings. Don’t Cry Sister is chunkier fare, with a soothing joint vocal on a song JJ might have written for Ray Charles, the guitars going for an organic weave. Cocaine retains its understated darkness and the crowd goes nuts when it starts. I guess this is close to a definitive edition, given those involved, and the drums sound purposeful. From here, the rest of the record definitely evokes the days of Derek & The Dominoes at times. Motherless Children tears it up. Lively and electric, for sure; Little Queen Of Spades from the Robert Johnson songbook is taken as a steady Bobby Bland style blues, and as ever with Eric at this kind of tempo outcome the default Albert King figures heard in Cream days on Strange Brew and ever since. A shuffle take on Further On Up The Road is pretty listenable, with the two backing singers in testifying mode. ‘Wonderful Tonight’ is a song everybody loves. But for me, it can’t be finished soon enough. Layla is the one those attending really want to hear, especially when Derek can sub for Duane fairly well. Of course, it remains Albert King’s As the Years Go Passing By in fifth gear in essence but the turnaround chords elevate it to a long-time favourite. Yes, they do include the slower bit! Robert Cray comes aboard for Crossroads, to wrap up the show. The incendiary Wheels Of Fire live version will never be bettered but Cray sings it well here and the band by now are running smoothly. A lot of expertly-played music featuring stellar players and a welcome spot by the great JJ Cale, so all in all a fan-friendly release.